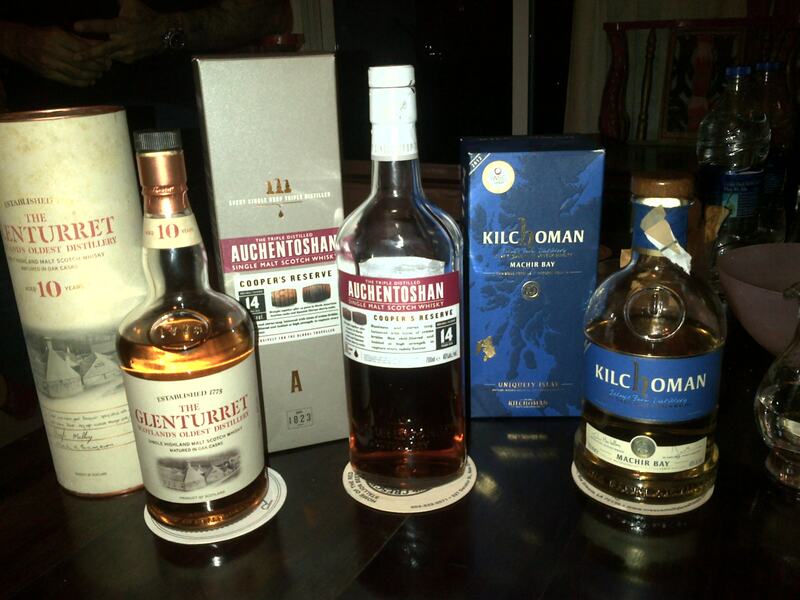 Prompted by a recent revisit of Kichoman’s Machir Bay in Singapore, I decided to unearth from our archives a tasting session which occurred in September 2013 with Glenturret 10 year, Auchentoshan 14 year Cooper’s Reserve and Kilchoman Machir Bay. This entry was posted in Highland, Scotland and tagged Famous Grouse, Glenturret, Glenturret 10 year by Carissa Hickling. Bookmark the permalink.